As human beings with conscious awareness we are the only creatures on the planet that can change their biology through feelings, thoughts and intentions. All 50 trillions cells are actively influenced by every single thought and we build this thought based on our paradigms. Being healthy means have sustainable positive habits that keep you motivated and energetic towards a better lifestyle. 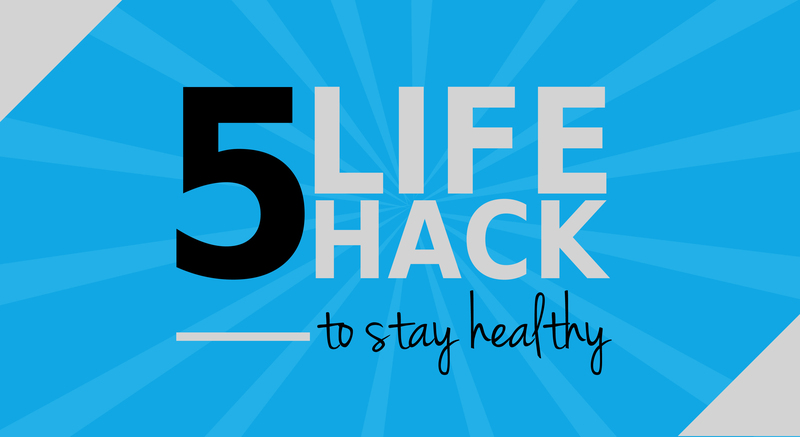 Here are 5 smart suggestions to help you stay healthy even if you are the busiest person on the planet. Setting your clothes out the night before gives you a jump start on your morning. In fact, if you plan to exercise in the morning you’re more likely to do so if your clothes are out, calling and waiting for you. Skipping meals, especially breakfast, can actually make weight control more difficult. Instead, there a plenty of breakfast recipes you can prepare the night before and also remember to give yourself time in the morning to eat. A leisurely breakfast will also help you gather your thoughts and arrive at work calm and ready.nYou can also pack your lunch the night before, or have all the parts ready so you can toss them in your lunchbox quickly. You will save a lot of money and you will eat fresh and clean food prepared directly from your kitchen. A little light stretching and exercise will help you works out the tension you may be carrying after a day of hard work. Whatever exercise you choose, be sure it’s one that you enjoy. You’re more likely to stick with it if it’s something you have fun doing. Once I discovered yoga, I practice it at least four times per week. But if you are a truly lazy person and you don’t love any kind of physical activity there is still one exercise you can do, walking. Walking is great because anyone can do it and you don’t need any special equipment other than a properly fitting pair of sneakers. Whether morning, afternoon, or evening, pick the time that is most convenient for you to exercise. Turn the computer off 30 minutes before go to bed and do something for yourself, like reading a good book or a magazine you love, meditating or practicing any sort of relaxation exercises. This should help you go to bed calmer and feeling more relaxed. Avoid any physically and psychologically stressful activities. If you tend to take your problems to bed, try writing them down and then putting them aside. Don’t drink sodas with caffeine in them. You won’t be able to get to sleep. Spend time each day to reflect on everything you did during the day. Congratulate yourself on your successes but also forgive yourself for your mistakes (the most important and tough part). Think of what you learned during the day and let go of the bad feelings you hold inside. Be grateful for the things you have in life, ( keeping a gratitude journal can really change your life) and set new goals that keep you highly motivated, excited and inspired, whatever is run a marathon or close a million dollar deal. Attitude affects your happiness, productivity and health. Think always positively, and don’t embrace failure as an outcome. Doing these things every day will help make you feel centered and relaxed and will also help make you slow but effective positive lifestyle changes. When you are committed to make small and positive healthy changes in your life, you will soon discover a new you, an energetic, vibrant, happy you. Luigi Potenza is a certified professional chef and founder of zenife.com, a wellness, self improvement and healthy food blog that focuses on helping million lives around the world to get healthier, happier and more fulfilled. He is deeply passionate about holistic nutrition, Ayurveda, yoga, meditation and personal development. Connect with Luigi on facebook – twitter and youtube to stay highly driven.